Many thanks to Bishopsgate Institute for giving a tour of their incredible archive to our Collections team this month! Located on Bishopsgate, near Liverpool St station in London’s Spitalfields area, Bishopsgate Institute is a hidden gem. Their Victorian Library houses an archive stuffed with treasures – their special collections include a vast range material on subjects including the history of London, trade union and co-operative movements, LGBTQ history, feminism, protest and campaigning. 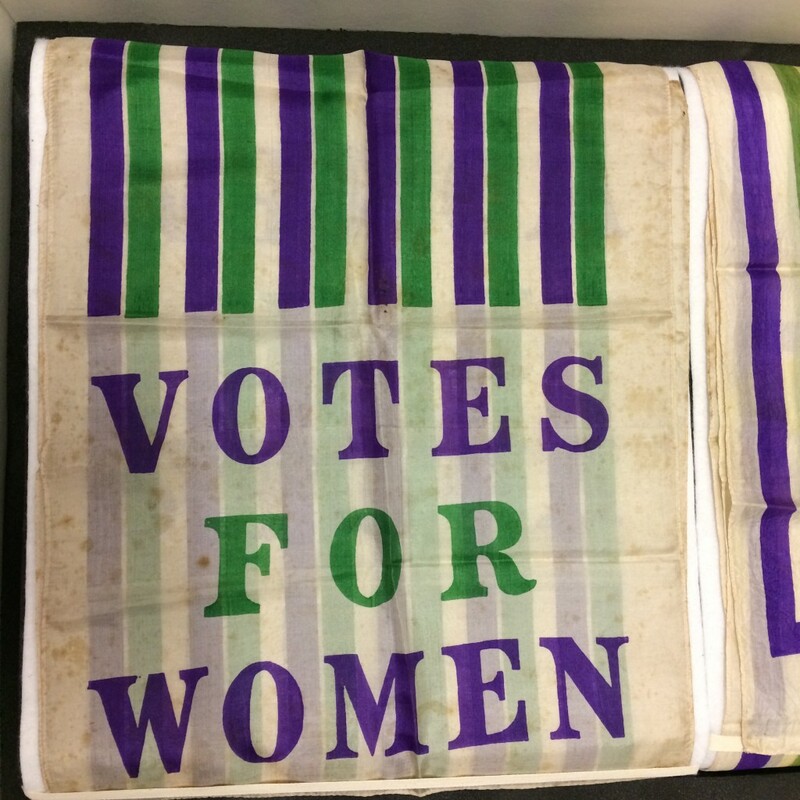 We were lucky enough to see exciting artefacts including original suffragette sashes, silk scarves and even a tea set! 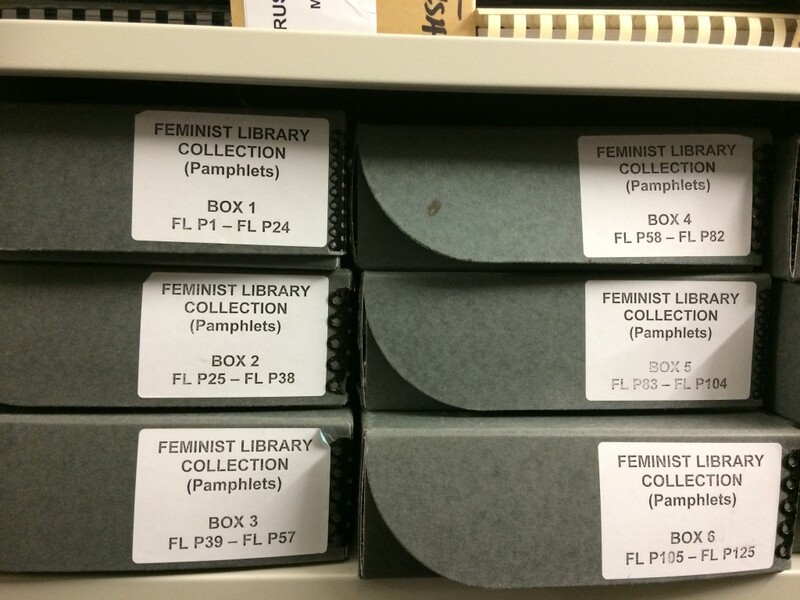 Call us biased but we think one of the most stunning aspects of the Bishopsgate’s archives is the Feminist Library Pamphlet Collection! This ephemeral material was donated to the Bishopsgate by the Feminist Library in 2009 so that it could be preserved and protected, and made available to researchers – or just those who have an interest in the fascinating history of feminist campaigning it provides. Bishopsgate welcomes anyone interested in their archives to come and use the material – no membership or appointment is necessary and archive staff Stefan and Nicky will be more than happy to welcome visitors, whether conducting research, looking for inspiration for a creative project, or just whiling away a little time doing something unusual.